In this episode of the podcast, Mike and Doug discuss the darker side of owning a business and the importance of factoring in luck. 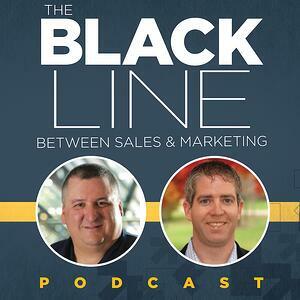 On this episode of The Black Line Between Sales and Marketing: Mike and Doug discuss the darker side of running a business. Doug mentions resulting, a word he learned from a book written by former poker champion, Annie Duke (Thinking in Bets: Making Smarter Decisions When You Don't Have All the Facts). Resulting occurs when you determine whether or not you made the correct decision based solely upon the outcome of that decision and is a massively insulting term in the poker world. This means: don't solely blame yourself when the outcome from your decision is bad. At the same time, don't credit yourself too much based upon a good outcome. The world is unpredictable, and it's more important to do the right things than get the right results. Making big decisions is extremely difficult, especially in high pressure situations. It's easy to look back on a decision you, or someone else made and put all of the credit or blame on the decision maker based on the outcome, but this is not correct. Respect the decision maker. After all, luck is always an influencing factor.